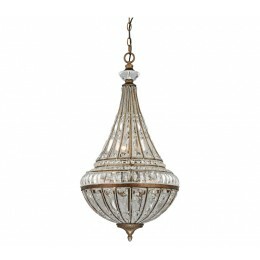 The Empire collection captures the regal beauty of French Empire design with it's classic shape and extravagant crystal. Tapered crystal combinations gracefully flow from top to bottom via a glass bead-lined frame finished in Mocha. Unique curved crystals encircle the mid-section of the fixture creating a unique transition between the bowl and center column of each fixture. 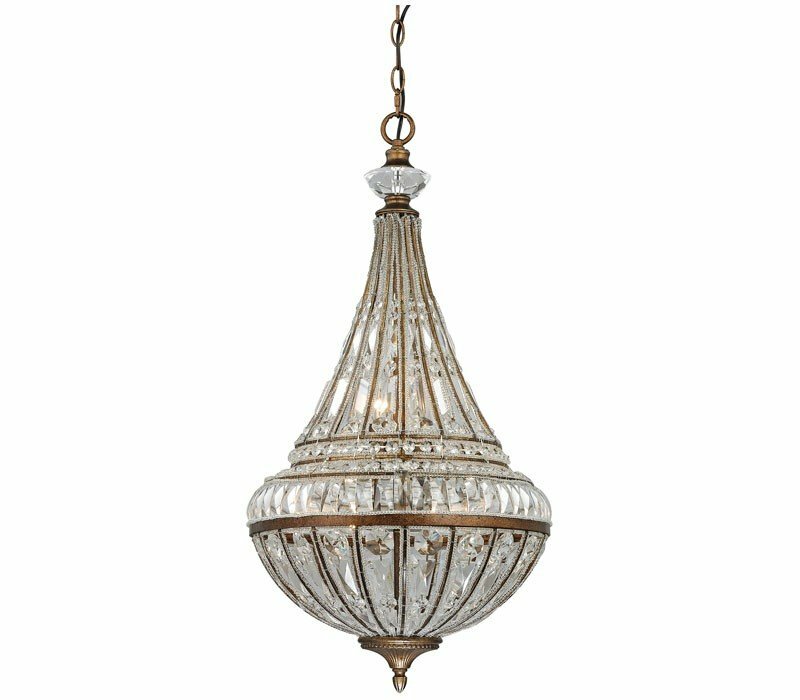 The ELK 46047/6 Empire collection Pendant Lighting in Mocha uses Incandescent light output and brings Antique style. The total wattage is 360 and the voltage is 120 volts. The ELK Lighting 46047/6 requires 6 bulbs (not included). Additional Information: Shade-Crystal - Type 16.